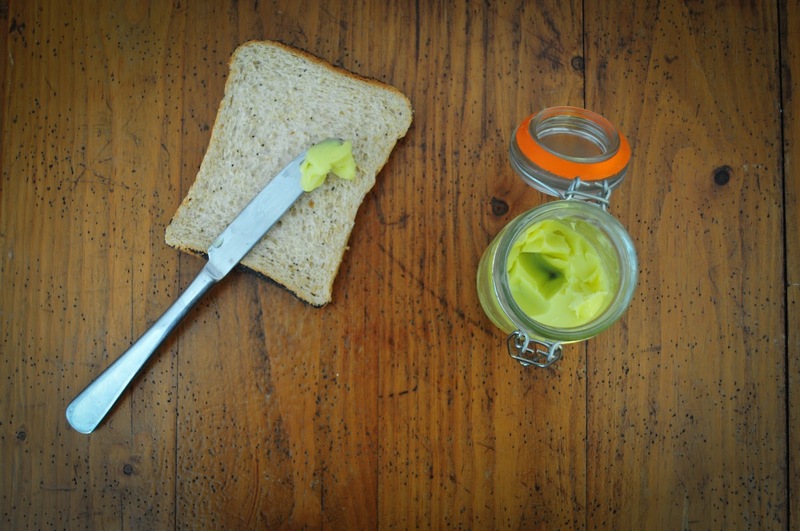 Of the Kitten Kind: An easy vegan alternative to margarine. An easy vegan alternative to margarine. I try to eat healthy. One thing that is essential, though, is vegan margarine on my bread. When I read all the numbers on the side of the package I get a little worried as to what all this is doing to my poor, little body. I know that margarines are often bleached to make them that yellow colour that we are so familiar with, so it's time for a change. That's what makes this alternative so great. It only has one ingredient. It tastes great on a sandwich and even though it's obviously still a fat, it's not the kind of artery clogging fat that will eventually kill you. Time: 5 seconds and then overnight to set. Pour the olive oil into a clean jar. Place the lid on the jar and then put it in the freezer. Freeze overnight. The next day, the oil will be solid. If your freezer is anything like mine, it will be too solid to spread. 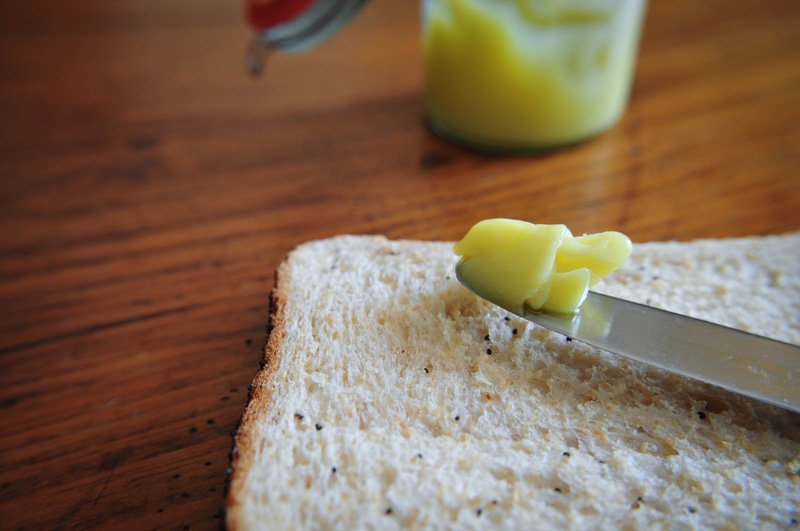 Transfer the margarine to the fridge and in a couple of hours, it should be entirely spreadable as in the pictures. Keep the spread in the fridge until you've used it all up. Wow, that's interesting! What a great idea.I also use solid coconut oil to spread on toast too, lovely with marmalade. How clever, Miss Sally you have so many wonderful ideas. That bread looks pretty yummy too. Clever idea and I bet it tastes great, too! I've been buying Olive Oil spread in the shop and never noticed that it's usually over 50% vegetable oil, along with a lot of other ingredients. Checked the price and noticed this stuff costs the same and is obviously a lot better for you! Looking forward to trying it. Also I will see if it works with flaxseed oil which is even better for you and doesn't have a strong taste. FYI. I just tried this with sunflower oil and it didn't work... Bummer.